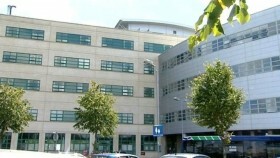 The court heard from the patient's daughter who said her father wanted to be treated and the 'do not resuscitate' decision by Great Western Hospital, had caused "immeasurable distress". However, her half-brother said his father would want to die with dignity. Mr Justice Keehan ruled that resuscitation of the 83-year-old would be "positively harmful", if successful. The patient's daughter said they were a "God-fearing" family, and said in a witness statement that after her mother's death her father told her he "would want to be resuscitated". But the judge said that resuscitation was not in the best interests of the patient referred to as GH. He ruled that cardio-pulmonary resuscitation (CPR) would be "positively harmful", if successful, and not in the best interests of the patient. Mr Justice Keehan added: "He has a right to die peacefully with dignity and should be permitted to do so". He granted a declaration to the Great Western Hospital NHS Trust, in Swindon that it would be lawful and in GH's best interests to withhold CPR if he suffers respiratory or cardiac arrest, or some other life-threatening deterioration. Nerissa Vaughan, the hospital trust's chief executive, said: "The patient is always our priority and all decisions are made to ensure a comfortable and dignified end to life. "We have been in regular contact with (the daughter) and continue to offer her our full support."